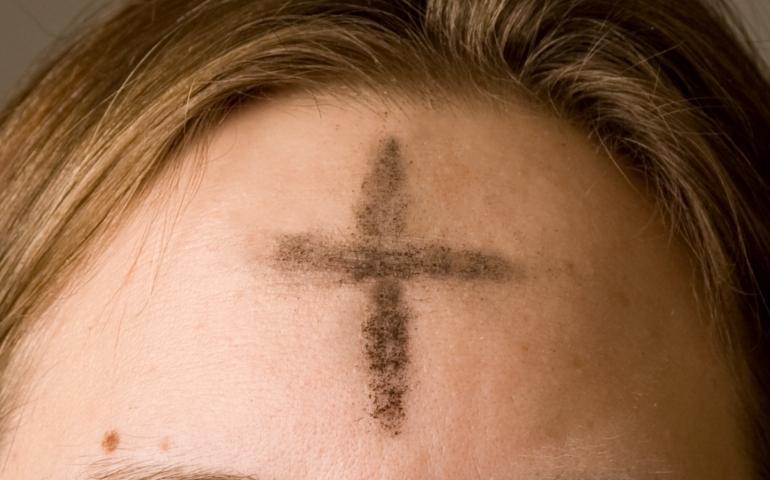 On February 14, the liturgical season of Lent begins with Ash Wednesday and will end on Good Friday, March 30. In churches throughout the world, people will participate in the remembrance of human mortality as they have ashes and oil anointed upon their foreheads. This practice of facing the anxiety of death is an important one to partake in as people prepare for Lent, the time of penance and self-reflection. Prof. Kruck explained the dichotomy of Ash Wednesday, a day in which we move from hope and celebration into penance and servanthood, as we “recognize the frailty around us that prepares us to experience the needs of the world.” Ash Wednesday is intended to be a reflective season that brings people closer to God through their practices of either removing something important from their lives and/or adding a serving or reflective activity in order to practice self-emptying. The season of Lent is a time in which we become centered in our humanity, looking at ourselves and looking at God and confessing the difference. Although this season is not a time of celebration, it is the perfect time to participate in the practice of serving and reflecting.